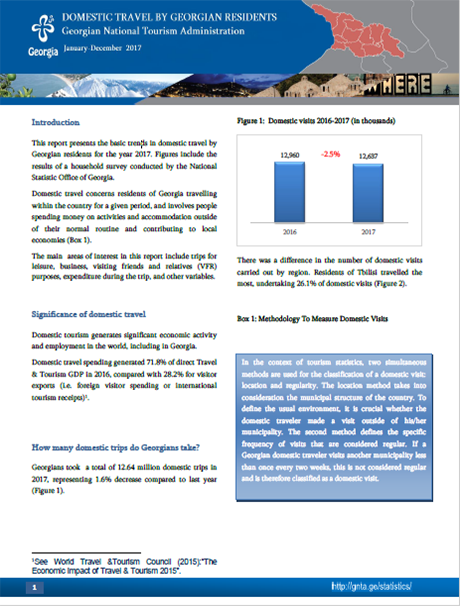 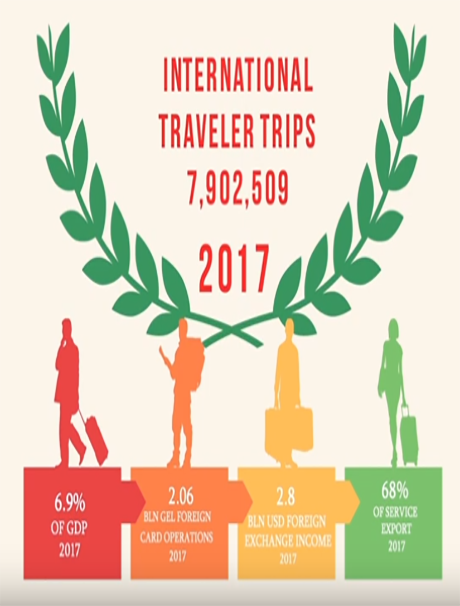 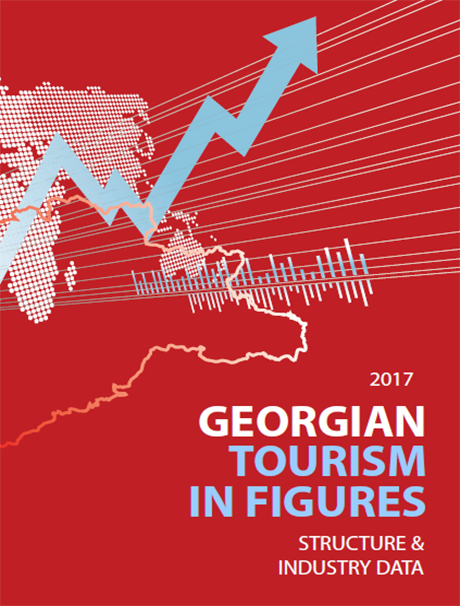 This report presents the basic trends in domestic travel by Georgian residents for the year 2017. 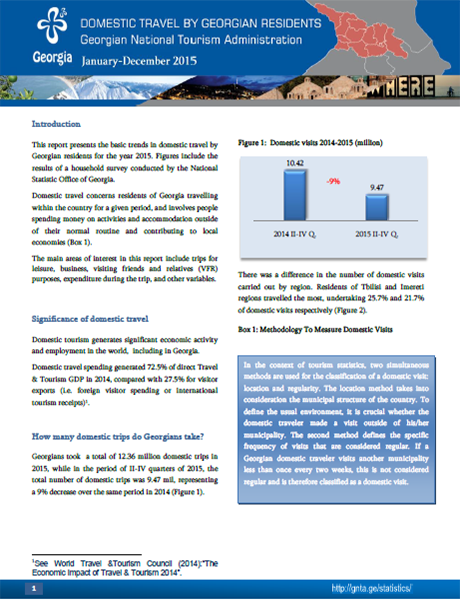 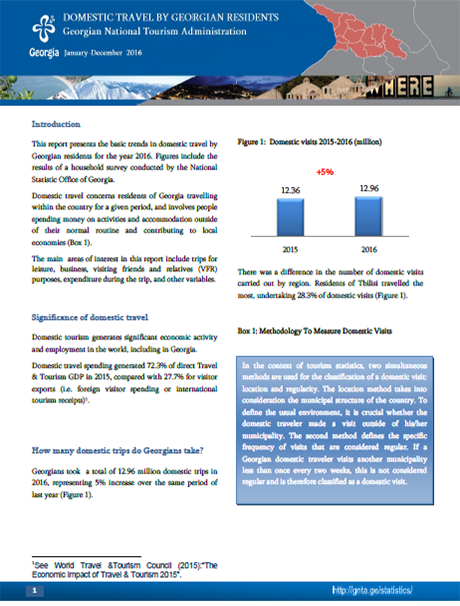 Figures include the results of a household survey conducted by the National Statistic Office of Georgia. 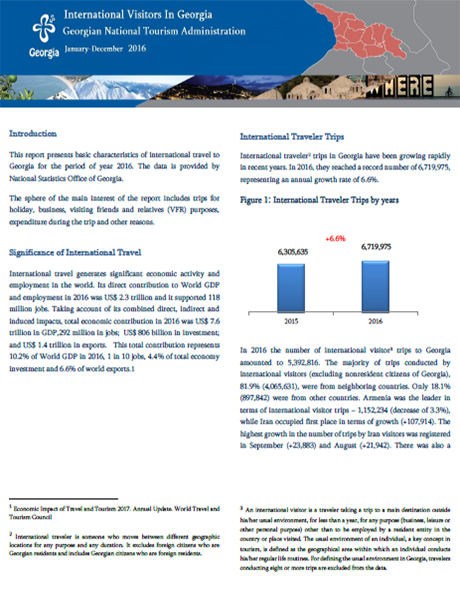 Domestic travel concerns residents of Georgia travelling within the country for a given period, and involves people spending money on activities and accommodation outside of their normal routine and contributing to local economies. 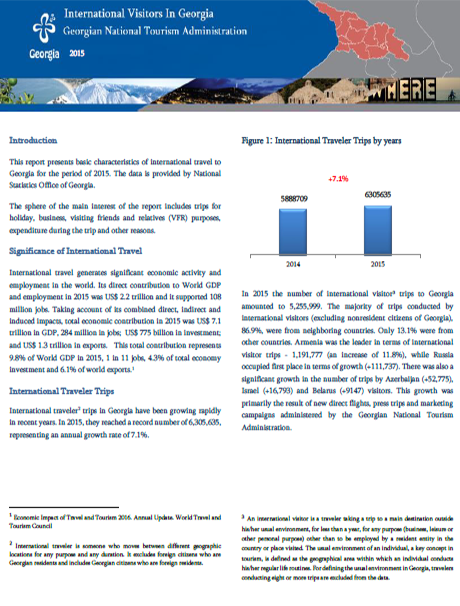 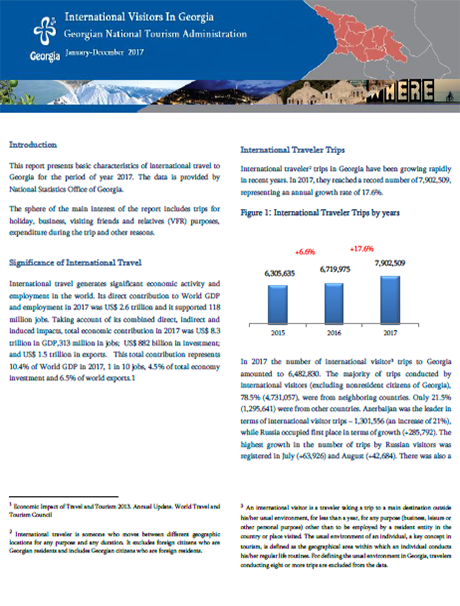 The main areas of interest in this report include trips for leisure, business, visiting friends and relatives (VFR) purposes, expenditure during the trip, and other variables.